Dr Michelle Tate is an emerging leader in the fields of viral pathogenesis and immunology. 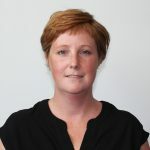 After completing her PhD studies at the University of Melbourne in 2010, Michelle was recruited to the Centre for Innate Immunity and Infectious Diseases under the supervision of Professor Paul Hertzog. Dr Tate is currently a NHMRC Career Development Fellow and head of the Viral Immunity and Immunopathology research group. 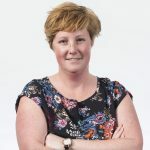 Dr Tate’s research interests lie primarily in understanding the molecular mechanisms and pathways involved in the development of hyperinflammation and severe disease, particularly during influenza A virus infection. 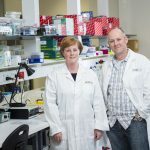 She has made a number of key contributions to understanding how innate immune defences modulate disease during influenza virus infection, as well as other infectious diseases. 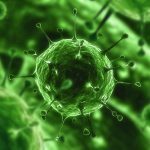 Dr Tate’s research has been published in top virology, immunology and multidisciplinary journals such as PLoS Pathogens, Immunity, eLife, Journal of Immunology, Journal of Virology and Scientific Reports. In recognition of her achievements, Dr Tate has been awarded an NHMRC project grant and NHMRC Early Career and Career Development Fellowships. Dr Tate has received numerous national and international awards, including the Christina Fleischmann Memorial Award (International Cytokine and Interferon Society 2016), Victorian Infection and Immunity Network Career Development Award (2016) and a Commendation for the Victorian Premier’s Award for Health & Medical Research (2011). In addition, Dr Tate is a member of the Journal of Virology and Virology Journal editorial boards. Kedzierski L*, Tate MD*, Hsu AC*, Kolesnik TB, Linossi EM, Dagley L, Dong Z, Freeman S, Infusini G, Starkey MR, Bird NL, Chatfield SM, Babon JJ, Huntington N, Belz G, Webb A, Wark PA, Nicola NA, Xu J, Kedzierska K, Hansbro PM, Nicholson SE (2017) Suppressor of cytokine signaling (SOCS)5 ameliorates influenza infection via inhibition of EGFR signaling. Elife. e20444. * equal contribution. Pinar A, Dowling JK, Bitto NJ, Robertson AA, Latz E, Stewart CR, Drummond GR, Cooper MA, McAuley JL, Tate MD*, Mansell A* (2017) PB1-F2 Peptide Derived from Avian Influenza A Virus H7N9 Induces Inflammation via Activation of the NLRP3 Inflammasome. J Biol Chem 292(3):826-836 * equal senior author.